The company is building two polar expedition vessels to launch in 2021 and 2022. Joining a list of cruise companies expanding into Arctic waters, Seabourn Cruise Line, owned by Carnival Corp., recently announced it will add two new, PC6 Polar Class luxury ships to its lineup. 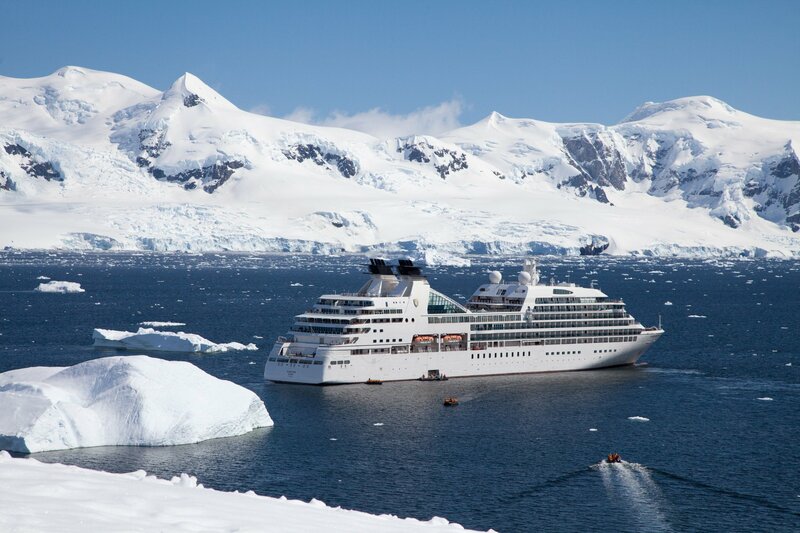 Designed exclusively for travel in the Arctic and Antarctica, the two ships are Seabourn’s first foray into a growing market for expedition-style trips to far-off locales. The company is working with Italian and Dutch shipbuilders on the construction of the vessels, designed to accommodate up to 264 guests with delivery expected in June 2021 and May 2022. Each ship will sport two submarines, kayaks and Zodiac boats, as well as a crew comprising of wilderness experts, scientists and historians. Seabourn is not the first cruise line to expand into the Arctic, which has grown as a destination thanks to climate change. Last December, French luxury cruise company Ponant announced plans to build the world’s first non-nuclear cruise ship to sail to the North Pole, adding to its lineup of five expedition vessels. Another luxury line, Silversea, recently advertised a 25-day-long voyage from Nome, Alaska, to Tromsø, Norway set to sail next August. In the summer of 2016, Crystal Cruise’s Crystal Serenity navigated through the Northwest Passage with more than 1,000 people on board. But while the ship made the same trip in 2017, the company announced afterward that Crystal Serenity would not be making any more Northwest Passage trips in the future. The company is now building a PC6 Polar Class expedition megayacht to sail through Arctic waters again. The trend towards these types of expedition-style cruises has not been lost on both cruise companies and Arctic countries alike. As Arctic tourism increases, some countries are adapting their ports to accommodate cruise traffic by adding shore and charging power. But the rise has also raised concerns from environmental groups and Coast Guard officials, who worry about pollution and rescue operations in case of emergencies.